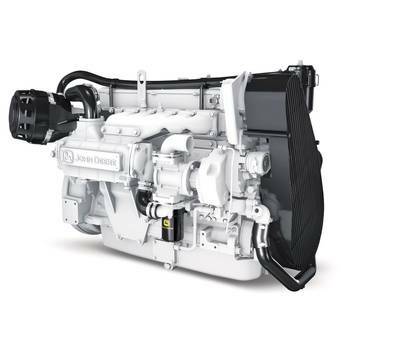 John Deere Power Systems (JDPS) has announced that 15 PowerTech generator-drive and propulsion engines have received China Classification Society type approval certification. The lineup of generator-drive and propulsion engines, with generator drive power ratings from 40 to 315 kW (54 to 422 hp) and propulsion power ratings from 60 to 410 kW (80 to 550 hp), offers customers a range of reliable and powerful choices for the Chinese market. The PowerTech generator-drive and propulsion engines that have received China Classification Society type approval certification (CCS) make excellent choices for a variety of marine applications. The rugged, powerful lineup of CCS certified engines from John Deere offers quiet and smooth operations in marine applications. The similar package size and performance makes these engines easy to install, easy to operate and easy to maintain, regardless of the configuration.